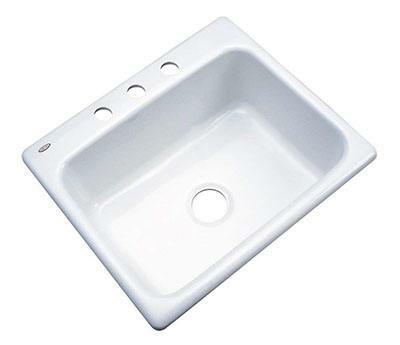 » What is The Best Kitchen Sink Material? Kitchen sinks have come a long way from the days when you had your choice between cast iron and stainless steel. Now, there are around a dozen other materials to choose from, including granite composite, making the home remodeling process that much more complicated. In order to pick the best kitchen sink material for your needs, you first must understand the features of each sink, as well as the pros and cons. Read on to find out more so that you can choose the best kitchen sink material for your home. 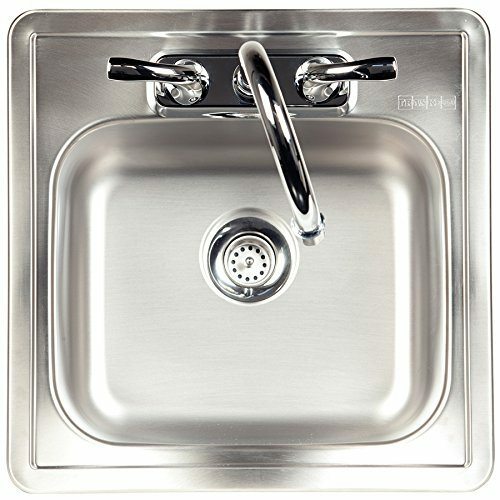 This is the very first thing that most people think of when they hear the words “kitchen sink.” However, is stainless steel the best kitchen sink material? These sinks are classics and make up about 70% of those purchased in the United States. When you’re looking at stainless steel sinks, you’ll notice a few things. 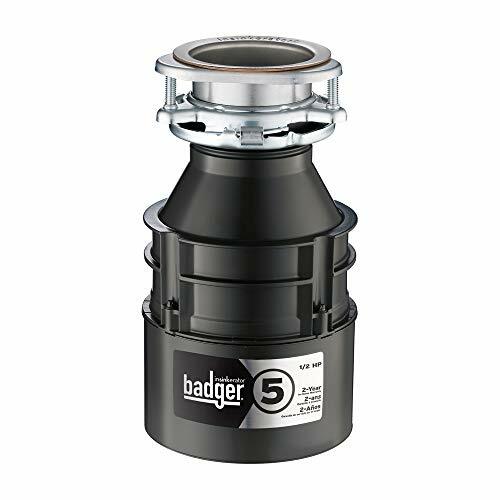 They are designed to work well with a garbage disposal, as those appliances usually come with a stainless steel flange. 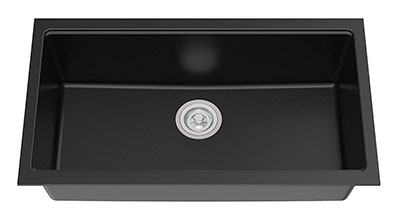 You’ll also find that there are both shallow and deep stainless steel sinks to choose from, as well as the popular double sink. The gauge of the steel matters as well, as the thicker the sink, the less likely it is to be noisy when the water’s running. Cast iron is a classic that remains on the list of the best kitchen sink material. It’s very heavy and sturdy. You won’t have to worry about denting the sink when you drop something heavy into it. 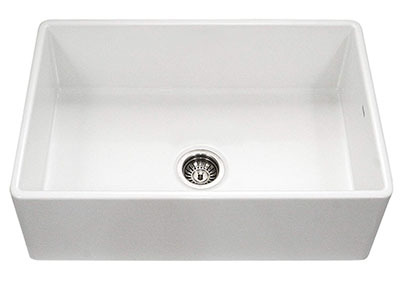 Most cast iron sinks are coated an enamel finish, which prevents them from rusting. Despite the enamel consisting of fused-on molten glass, it actually is very strong and scratch-resistant. 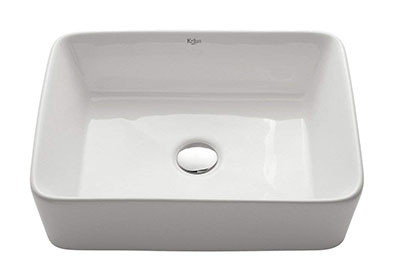 Fireclay sinks are actually a combination of ceramic clay and porcelain enamel. 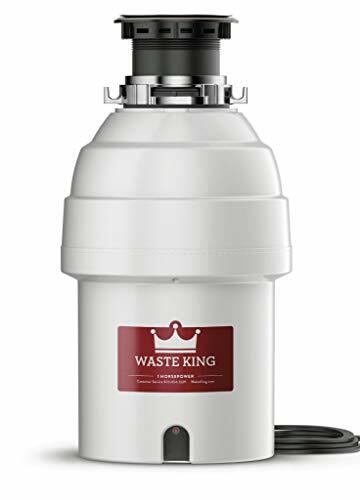 They are on the list of the best kitchen sink material for many homes, as they are fairly strong. These sinks also tend to come in the farmhouse style – not the double sink variety – as that is what homeowners prefer. On top of that, you’ll find many of these sinks in shades of white. Granite composite is quite possibly the best kitchen sink material. They are made of granite that has been crushed and mixed with resin before it’s molded into the shape of the sink. The manufacturing process for these sinks has some leeway, allowing for various colors of resin to be added in. This means that you’ll find granite composite sinks in many colors and styles, including the double sink. It’s easy to overlook quartz when creating a list of the best kitchen sink material for a home. However, if you’re one of those people who want their countertops and their sink to match, then this is a great option. When your countertops and kitchen sink are purchased from the same manufacturer and are installed properly, the results will look seamless. People won’t be able to tell where one begins and the other ends. Plus, your quartz sink is just as durable as your countertops. 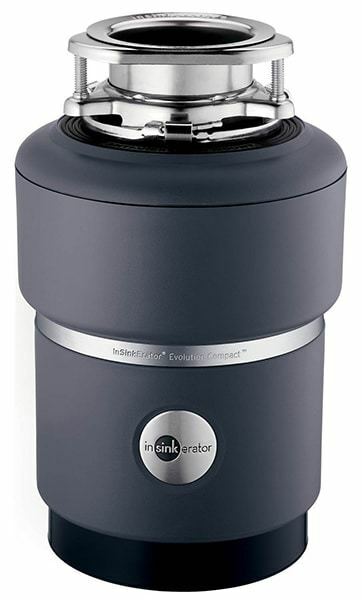 You can even install a garbage disposal in it, and no one will notice, because they are blinded by the beauty of the sink and counter. Is acrylic the best kitchen sink material? Well, these sinks are made of polycarbonate plastic, which is lightweight and easy to mold. They also contain some fiberglass in order to make the plastic stronger and are coated in resin, which makes them very stain resistant. These sinks come in a number of different styles, including the popular double sink, as they are molded into shape. You’ll find a number of colors available, too. 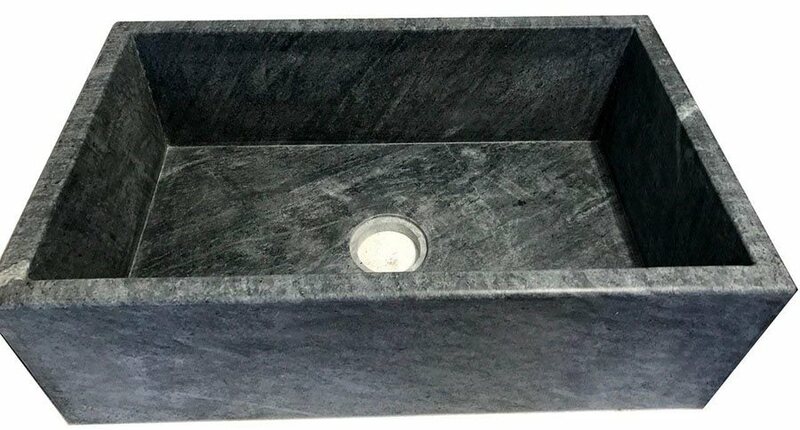 Soapstone might just be the best kitchen sink material if you can stomach the price tag. Yes, these sinks, which are made of the same material found in scientific laboratories, will last for a very long time and are actually bacteria-resistant, are possibly the most expensive option on this list. However, they have a striking look to them and will certainly make an impact in your kitchen. Copper sinks are rather beautiful, placing copper on the list of the best kitchen sink material. They are made of copper that had been melted and then poured into a mold, often with detailing on the edges. 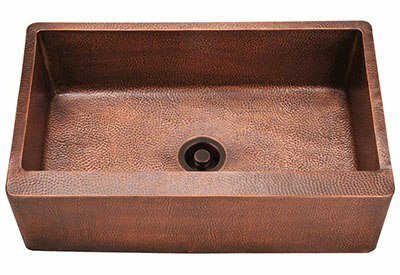 You’ll find that many of these copper sinks are actually shaped like farmhouse sinks, as the visible outer edge provides a place to show off the molded patterns. Although these sinks are expensive, they are very durable and extremely pretty. 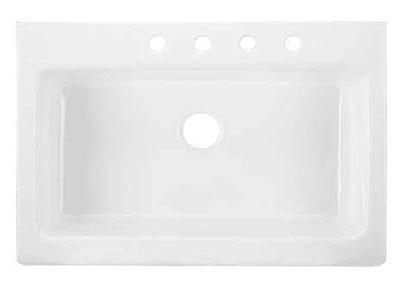 Ceramic (porcelain, for the record) sinks are usually seen in bathrooms, where there’s less worry about something heavy accidentally falling into them. However, these sinks are now being made for the kitchen as well. The ones for this room are coated with a baked-on finish, making them more durable than their older counterparts. These sinks can really lighten up a kitchen and come in both single and double sink styles. Now that you understand a bit more about kitchen sinks and the materials that they are made of, you can go to your local home improvement store feeling like a professional. 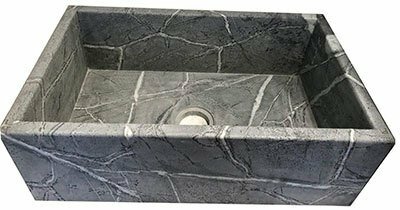 You should be able to choose the best kitchen sink material for your needs (whether it’s a deep stainless steel sink or a composite granite double sink or something else entirely) quickly and easily. 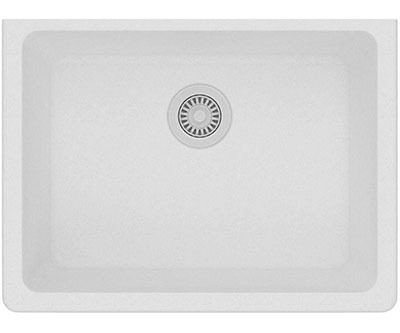 The sink styles that are detailed here are some of the most popular on the market. You might see some others at your local home improvement store. What it all comes down to (after you’ve weighed the pros and cons) is whether or not the sink will look great in your kitchen.